Some excellent choices, ladies! I hope you keep up your amazing work on this blog!!! Some great books! I especially loved Pushing the Limits and Beautiful Creatures from your lists. Scarlet has been on my to-read list for too long. Glad you liked it. I'm excited to read it now. Great lists- full of books I already love or one high on my TBR! I really love you blog layout and content! Cinder definitely should have been on my list. :) There are a couple on here I still need to read - If I Stay and The Fault in Our Stars - and I need to make that happen soon! I recommend the Hunger Games all the time. I don't even know why I didn't add it to my list. There are a few people who picked it up because of me. Also I haven't read Delirium (shame on me I know). I've also never read anything by Jennifer Echols but I've heard good things. I love love LOVE Divergent! Yes to The Hunger Games! 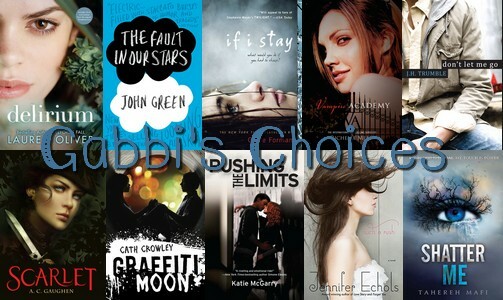 I am hoping to try Fault in our Stars, Cinder, and If I Stay soon. Oh and Jennifer Echols as well. But I think I have her other book, Going Too Far. Lauren Oliver is everywhere, now I definitely have to check her out, I feel so out of the loop! 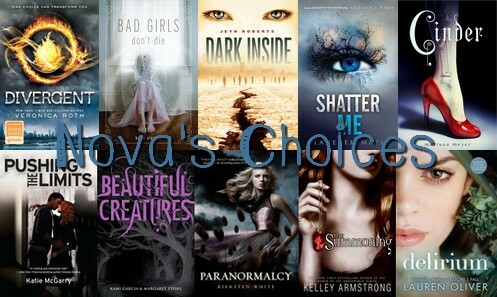 But Shiver is definitely next on my TBR list. Thanks for all the recs ladies! Thanks for stopping by my post, Gabbi! I love love your list! Graffiti Moon and Pushing the Limits and The Fault in Our Stars! ASLKDJFHALKJH!!! I need to read them! Charlotte's and Nova's lists are also great! I see books I also love there. :D You rock, girls! Such great picks! I love love love VA and Pushing the Limits! I really need to read The Fault In Our Stars! Thanks for visiting my blog. Following you now! Great lists, I love so many of these. Never heard of Bad Girls dont die, great title and cover. I'll be checking it out to find out more! What a great list (or 3). I have read quite a few of them, and those that I haven't I have been looking forward to. Great lists! 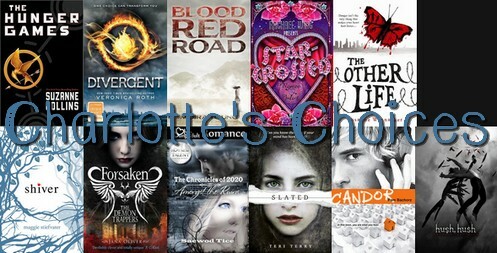 I've only read a few of the books on all three lists - TFiOS, The Hunger Games, Divergent, and Cinder. But I do have a lot of the rest on my TBR list. I'm especially excited to read Delirium.